Time for a bit of rant today. I was at a local conference on teaching recently, doing my dog-and-pony show about how students engage with digital media outside the classroom and the implications for how we approach teaching reading and writing (I’m never certain, by the way, whether I’m the dog or the pony in this particular show.) This was for a group of faculty and graduate students across a variety of disciplines. People were pleasant and polite and there were some productive questions. But, during and after the session, I was struck, as I often am by the surprise among some faculty at the idea of having ongoing conversations with students about what students know. Then I did a guest lecture at another campus and there were similar questions, and a discussion thread on a professional online list I follow went the same direction. As I said, what surprises me is that the idea of starting our teaching by talking with students about what they know still strikes many people as radical. What disheartens me is the attitude of far too many faculty and instructors that what students know is irrelevant or uninteresting. There’s always a lot of talk in my field about having a “student-centered classroom” and often discussion about whether we should do so. But, from what I see, this is a non-issue because too often I see attitudes that are barely “student-tolerant,” let alone “student-centered.” There is so often such a lack of respect, at least at the college level, toward students. “They don’t want to do the work,” “They can’t read and write,” “I won’t read their course evaluations as long as I have a Ph.D. and they don’t.” “What they know outside of class is what I’m trying to teach against.” Sigh. No one students come into our courses wary, beaten down, and wondering about the relevance of anything we are trying to teach them. As a writing program administrator, one of my hard and fast rules has been no mocking of students and student writing – even among ourselves. It is, of course, immature, unethical, and disrespectful to do so. It is also exactly what students fear we are doing with their writing. If we don’t take their work seriously, why should they? Do we want our writing mocked by colleagues, editors, reviewers? I can’t enforce this rule, but I do try to make the point that teaching is an art of patience and compassion as much as of the transfer of knowledge. I’m no saint. I get frustrated with students who are resistant, or seem unwilling to do the work, or dismissive of what I’m trying to teach them. And sometimes I think they are truly resistant and we won’t reach them. But, at the risk of going a bit Yoda on all this, I think underneath so much of what is performed as resistance and boredom is fear and anger – fear of not understanding or of being assessed and found failing once again, and anger at feeling belittled, humiliated, and treated condescendingly. When I find my frustration rising, I try to remind myself that you never, never know when you might get through to the resistant student. One cutting remark now might make me feel better, but loses that student in my class forever. But continued respect may allow that student to receive another comment later in the semester in a way that is productive and, once is a while, transformative. I was often a resistant student as an undergraduate. I can see myself in the student sitting in the back of the classroom, slouched in a chair, daring someone to try to teach him. The teachers I responded to were the ones who communicated respect for student ideas and created meaningful assignments. We could all tell the difference. So much recent research on student writing shows that students respond best – and by best I mean productively able to incorporate instructor comments into their writing – to instructor comments when the comments demonstrate a clear respect for the intelligence and ideas of the student. This doesn’t mean we don’t offer critique and suggestions, but just that we see students as intelligent people with ideas worth communicating, as people who want to be heard and respected. 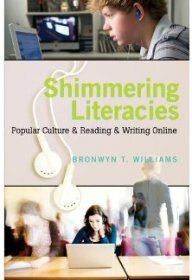 People often ask me why I am interested in research about popular culture and student literacy practices. There are lots of reasons (I mean, I like watching movies too). But one central reason is that I am continually interested by the literacy practices students engage in outside of the classroom. Unless we understand how they read and write in the majority of their time and how they have learned about rhetorical concepts such as audience or genre or authorship, we can’t teach writing and reading effectively. And, if we want to understand the texts they engage with most often outside the classroom, we need to look at popular culture, whether it is television, movies, social networking, music, or video games. I am continually convinced and inspired by the basic ideas of pedagogy from Dewey and Freire and Murray – we have to start with what students know and help them find was to engage critically with their own knowledge. My guess is that, for anyone reading this entry, I will be preaching to the converted, so maybe it’s a waste of time. But a rant sometimes just needs to be ranted. Again, I’m no saint. And, I know many, many excellent teachers who treat their students with respect and learn a great deal by engaging students about what they learn outside the classroom and then help students learn things that will make them more creative and critical readers and writers in our classes and at home. For every comment I hear at a conference or online that makes me want to climb the walls, there are far more that are supportive and respectful toward students. And, just as with students, I try to maintain a respect for my colleagues and continue to try to convince them that we need to listen to our students as the first act of teaching. Previous New Media Literacies and Participatory Popular Culture Across Borders – Getting Closer!